I’ll get off off the post secret tangent. 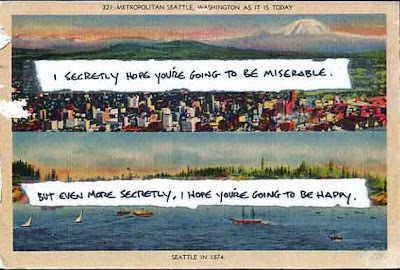 I’m going to be writing an article on Post Secret as a brand in the next few days, as soon as I build up the energy to catch up on a few things from the evil flu I’ve had. This card in particular touched me today, during my Sunday morning ritual of reading the freshly posted secrets and drinking a coffee (yay, I’m well enough for coffee again!) with my cat draped over me.